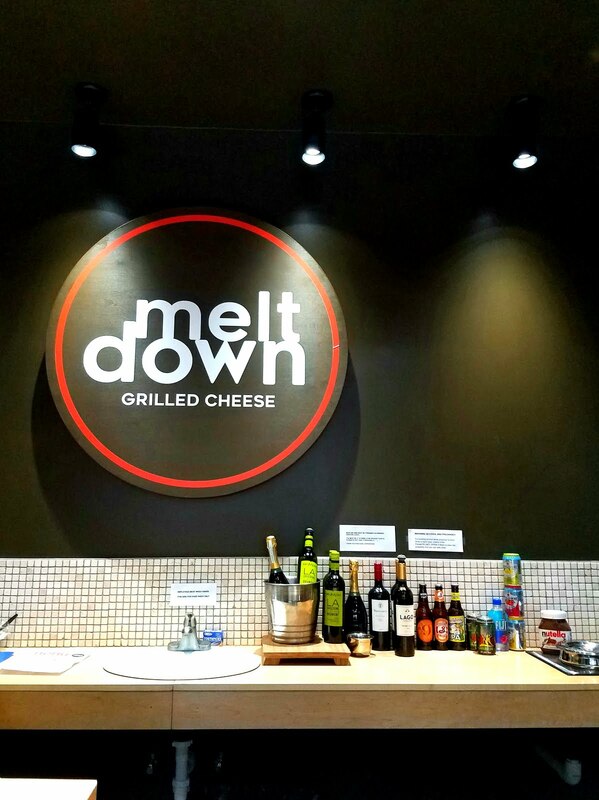 New shop MeltDown opened at 150 Bay a few weeks ago, in part of what used to be Transmission/Beat Street, offering a selection of grilled cheeses and soups. The grilled cheese sandwiches are offered on your choice of whole wheat or artisan bread and range from a plain grilled cheese with American to specialty sweet and savory options made with a variety of preselected fillings and paired cheeses. They also have a small selection of wines available by the glass which are available on their own or as part of a combo with the soup and grilled cheese. 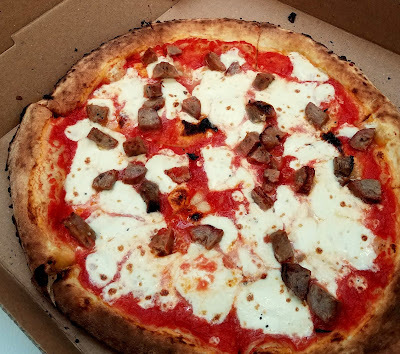 On my visit, I tried the El Ray - chorizo, salsa, pickeld jalapenos, and pepper jack. It was only very mildly spicy, but it was very flavorful and tasty sandwich, grilled well. 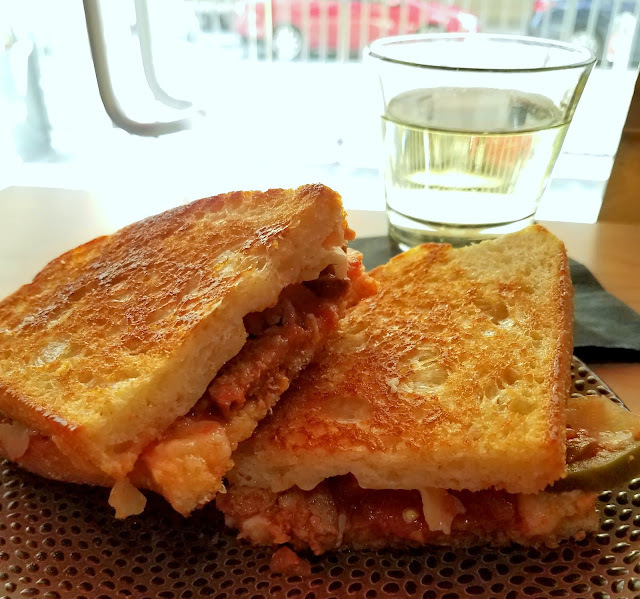 One issue I had was that it lacked the requisite amount of cheese to really make it a grilled cheese but I suspect that has to do with the number of fillings in this one and that some of others would be a better choice for really getting that grilled cheese experience. Prices for the sandwiches currently range from $5-9 and combos are $15. Right now the menu and hours (4pm-12am Tues-Sat) are temporary as they establish themselves in the space. They're hoping to expand before summer but as it stands, there are enough options to suite most people's tastes. The shop itself is pretty small and better-suited to take out, but there are a few open counter seats for dining in. True to their name and their inspiration, Meltdown is also celebrating Natitional Grilled Cheese Day today, 4/12 with extended hours from 11am-1am and a complimentary glass of wine or other beverage with any sandwich order. Make sure to stop by 150 Bay to check it out and enjoy more grilled cheese in your life.